I was provided tour guide services to facilitate this review. All opinions are entirely my own. Time is money, or that’s what everyone says. Vacations are expensive enough, so why would you add the cost of a tour guide? Because it not only saves you the stress, but also can SAVE YOU MONEY overall! With their expertise, you get so much more done in a day, meaning you can go for less days. That’s fewer park tickets and hotel nights, less food and snacks you have to buy, less missed work or school. They’re able to get you places faster in the parks because they have it memorized. They know which ways to walk during what times of day due to traffic, which rides get busiest at what times, and when dining fits into the schedule to miss less actual park time. Time = Money, and these guys can save you a LOT of it! Yes, another one that comes down to money – because I’m sure that’s likely the top reason most people are hesitant to hire a tour guide. The prices for a private guide directly from places like Walt Disney World cost you between $400-$600 an hour, while Universal Orlando is about $2,800-$3,200 per day. Ouch! Michael’s VIPs is only $125-$150 an hour depending on the time of year. Whether it’s help with hotel or dining reservations, transportation from place to place, getting tickets, or fast passes, Michael’s VIPs handles all of that for you – before you even get there! I loved not having to wake up super early to nab my desired dining times when they opened 180 days before our Disney World trip, because they took care of it for me. We discussed ahead of time what we wanted from our trip – where we wanted to eat, things we wanted to do, the types of rides we were most eager to try – and they took care of all the reservations. They helped us figure out which transportation worked best for different days or situations, which saved us a LOT of time. They even texted (yes, I had their actual cell phone numbers to text before, during and after our trip) to see how we enjoyed our trip! 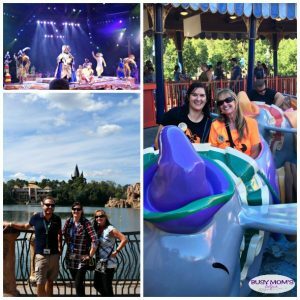 I loved that for our whole trip – that included Walt Disney World AND Universal Orlando – we could use the same company and guides. We didn’t have to switch when we went to a new place, making it much easier for them to really get to know us and our likes or dislikes as far our vacation. If we had wanted to go try something else in Orlando, they’ve got you covered for that, too! They go beyond the parks, so whether you need a fun shopping venture, or a fancy evening out for business, they know the place and can guide you where you need to go. If you hire a private guide directly from the parks, they kind of HAVE to promote their own company’s stuff. Even if a restaurant outside the park is better, they’re likely to encourage you to eat inside the park because it helps their bottom line. With Michael’s VIPs, they cover everything and have nothing extra to gain from promoting certain things or places over others – so you know they’re going to give completely honest input or recommendations for your trip. Everyone know that the little things can make or break a great vacation, right? Well these guys want you to have the best experience possible, and the guides have fun ways of ensuring that. Take Renee for example – she brings little fake jewels to ‘toss’ to the kids during certain Little Mermaid shows or rides! Chris made sure to bring us ponchos for Kali River Rapids, and new right where to take our picture from the bridge. And Rob had learned enough about us to know my love of Star Wars, so he made sure to wear a Millennial Falcon shirt. It’s the little things, guys, that can make a world of difference and let you know that they really care about YOU! 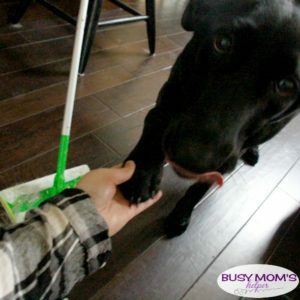 If you have multiple kiddos, you know that having another adult around can be a life-saver. They can help keep them safe and close to the group, and even keep them happy skipping along so you and hubby can enjoy walking holding hands with each other for a change! Another thing is trying to figure out seating on rides – there’s another ‘big person’ to help the younger ones. Or if you want to sit off a ride, the guides are happy to go with the kids for a second round – or third or fourth or…. (yes, my kids do this on rides like Flight of the Hippogriff at Universal). And Jason was awesome helping us with our MANY bags from Universal that day – and they were HEAVY bags! If you’re like me, you don’t want to just randomly pick a bathroom and hope it’s a decently clean one at busy public places. Luckily, Michael’s VIPs know where the bathrooms are located and which are the best (and check whenever you’re near, in case someone needs to stop). They know where the entrances are to all the rides, and where to head for the best seats for performances. At Universal, we suddenly really wanted Pumpkin Juice – but wanted to try the carbonated version – and Jason took us right over to the correct place to get that. They also know which rides have the best ques for entertaining kids who may be getting restless – although you won’t wait in many lines with this skilled crew! When kids need to get rid of some of their energy, they know right where to go for the play areas in the parks. And they know the RIDES super well, like where the camera is if there’s a photo, and also how to score the best on Buzz Lightyear – check out my score following their trick!!! The only thing they DIDN’T know and were unable to find out for me, was why at Magical Express at the airport arrival there were lines 1, 2, 3, 4, 5, 6, and 8 – where did line 7 go?! Some rides the guide had us go on while they went and took care of other work pieces, like scheduling more fast passes. We also enjoyed watching a short bit of Jedi Training Academy while resting in chairs in the shade, while Rob went and grabbed some waters. While we were enjoying lunch, even when they joined us because we LOVED their company, the guides would still be working – reorganizing the schedule on their phone to make up for a random ride closure (Hogwarts Express – so sad!) or seeing about switching up dining reservations because you changed your mind on what type of food you want. Guys, they work HARD – but make it all look like all fun and play! I seriously can’t WAIT to go back to Orlando again, because I know Michael’s VIPs will make it a wonderfully fun, stress-free vacation for my whole family! Our goal is fall-ish 2018 taking EVERYONE in my family – when are YOU going to go and give these tour guides a try? 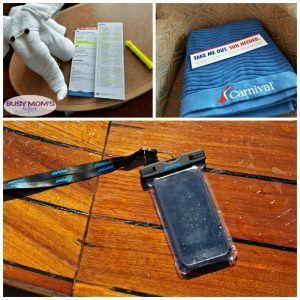 Check with Get Away Today for the best prices on tickets and hotels for your vacation – and use Promo Code: BusyMomsHelper for even more savings! Thank you Girl Scouts of North Texas for the complimentary cookies to assist this recipe! It’s that time of year again, when troops of young ladies and their leaders await, table full of delicious goodness, for you to exit the grocery store or drive by, hoping that you’ll stop and buy a box (or a dozen). I love seeing the girls get excited as they work hard to sell their cookies, not just to raise money but also to learn great leadership and entrepreneurship skills. If you’re looking to do something a little different with your box of tastiness this year, try a new twist to one of the favorite Girl Scout Cookies with this amazing and super easy to make Thin Mint Pudding Cookies recipe! Note: to really get my Thin Mints crushed, I put them into my blender. Preheat oven to 350 Degrees F. Spray or line 2-3 baking sheets, set aside. Mix the butter, eggs, light brown sugar, regular sugar and pudding mix until smooth. Add in the vanilla, baking soda, and mint extract and mix again until smooth. Mix in the flour until everything is well combined, then gently fold in the crushed Thin Mints until evenly incorporated. Roll into 1″ balls, then place on cookie sheet, flattening just a bit. Bake for 8-10 minutes, then remove and allow to cool 2 minutes on the cookie sheet before removing to cooling rack. Do not overbake. These taste amazing – soft and chewy, with a great flavor just like Thin Mints! Now, I had my Thin Mints crushed to a fine powder (because the blender), but you can do larger pieces if you want it more like chunks instead of all throughout your cookie. 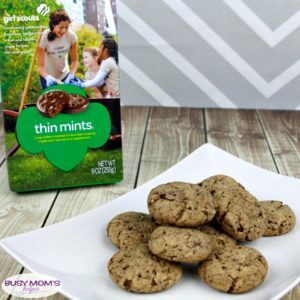 Next to Samoa’s, Thin Mints are my absolute favorite Girl Scout Cookie – and I love enjoying them as-is and also in these delish pudding cookies. Plus, it makes them go further, so you can take them to a party or get-together without having to use ALL your Thin Mints! While I’m grateful to live in a place warmer than Utah now, it’s still been plenty cold here lately with a bit of freezing rain this month. I don’t know about you, but when it gets cold I have even less of a desire to spend forever cooking – but, we still have to eat, right? Luckily we can still make a delicious and comforting (aka: nice and warm!) meal with this Easy Potato Soup & Cider Recipe! with hardly any effort required, you can whip up a family-pleasing dish in practically no time at all, meaning more time you can spend wrapped up in that blanket. Okay, so maybe us moms don’t ACTUALLY have time to just lounge around wrapped in a blanket – but you know I’m gonna try to stay as comfy and bundled as possible once the temperatures get into the 30’s and 40’s here! That’s one reason this meal is so perfect – the apple cider cooks in your slow cooker a few hours, making the house smell like cinnamon and deliciousness. 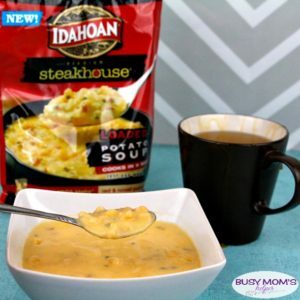 Meanwhile the Idahoan Steakhouse® Soups cook in just 5 minutes, and are full of flavorful seasonings and rich cheeses – not to mention real Idaho® potatoes – giving you a creamy, hearty flavor with every bite. All you have to do is add water, making it about as easy as a quality meal can be! Are you in for several weeks of chilly weather in your area? Don’t worry, you can enjoy more than one tasty meal that’s easy to make and brings warming comfort to your family because Idahoan Steakhouse Soups offer a variety of great flavors, such as Loaded Potato (which we enjoyed for this particular dinner), Creamy Potato, Cheddar Broccoli (my favorite!!) and Cheddar Potato. So many options to choose from, but since they’re quick to cook maybe just whip up a variety and let your family test out their favorites! Pour the apple juice into your slow cooker. Cook on low for 3-4 hours, stirring occasionally to spread the cinnamon flavor throughout. When serving, add a bit of caramel syrup as desired – enjoy! When your cider is close to done, grab your flavor choice of Idahoan Steakhouse Soup and follow the directions on the back. For our Loaded Potato, I simply had to boil 4 cups of water (for 1 package), whisk in the contents of the pack, lower heat and simmer (uncovered) for 5 minutes, stirring occasionally. Then remove it from the heat and let cool about 5 minutes. That’s all it takes, guys! I’m a huge fan of things that help make our busy lives easier, so of course I not only love the great, slow-cooked, full-of-flavor taste of Idahoan Steakhouse Soups – but also being able to give my family restaurant-quality soup right in our home in just minutes! They really help make comfort easy, despite the chilly temps outside. What’s your favorite cold-weather drink recipe? Creative Way to Include Batteries with Gifts – with free printable! How many times have you been super excited about a gift, but once it’s opened realize it needs batteries – then the search begins! That hassle and waiting to be able to actually ENJOY the gift can cause so much unneeded holiday stress. 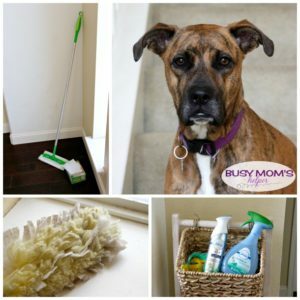 Especially with kids, you don’t want to deal with the pressure (aka nagging) that’s sure to ensue while you hunt through cabinets and drawers. Don’t worry, because I’ve learned a Creative Way to Include Batteries with Gifts (plus giving a free printable so it’s even easier). No searching or stress THIS year! Make sure you have everything ready – your gifts, wrapping paper, scissors, tape, ribbon, hole punch and your Energizer® Ultimate Lithium™ Batteries. As a mom, I rely on these for all our toys and electronics because nothing outlasts their long-lasting power – I want to be switching the batteries as infrequently as possible, because heaven knows I have plenty other things to handle each day. I also really appreciate each battery’s safety-conscious and leak-proof design, helping me feel confident that the most-loved toys and devices are protected against leaks and corrosion! They’re the clear choice to power the essential devices in your life dependably! Gather everything together, then you’re ready to start making your fun ‘battery holder’ gift box! Click on the photo below to easily shop for all your batteries! You need to print off this template – I highly recommend printing onto colored cardstock type paper. This is more sturdy so works best, and printing onto the color you want the box to be saves you from having to trace it. Don’t worry if you can’t print directly onto the paper you’ll use for your ‘box’, because you can print on normal paper, cut it out, then trace it onto what you’d like. It prints onto 8.5×11 size, and has 2 per page. Once you have the template, here are the steps for creating your awesome ‘battery holder’ to attach to your wrapped gift! Add your Energizer® Ultimate Lithium™ batteries and use ribbon or string to loop inside, then carefully tighten and secure in a bow! There you have it – a super fun, festive gift box allowing you to safely include batteries WITH a gift by just taping the bottom of the paper box on top of your wrapped present. That means no more hunting around to power your kiddos new toy! If you don’t want to tape it on top, just wrap it inside the box with the present so it’s right there handy – or you can hang a bunch of these battery boxes (carefully) from your tree – high up where young ones can’t reach, of course – to easily grab when a ‘batteries required’ gift is opened. So fun! Want to know another perk of hitting up the Energizer® battery displays during your Walmart shopping trip? You can nab these amazingly useful Energizer® Brand Headlights for a great stocking stuffer! I couldn’t resist getting another for hubby, because he uses his All. The. Time! 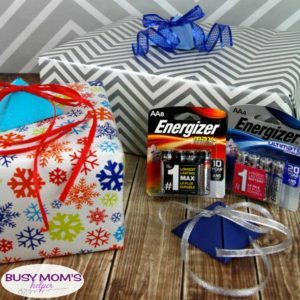 If you’re in a hurry so don’t have time to do this fun battery gift box, just use festive ribbon and tape to secure the needed batteries to their corresponding gift – easy! Now go enjoy your holidays knowing that you’ll have a lot less stress when present-opening time comes, because any needed batteries will be right there with the gift, not only making it easy to grab but also look fabulous! As many of you know, there’s a divide in our house when it comes to chocolate – I absolutely love it, hubby doesn’t. So far the kids are on my side, which I’m quite pleased about. As such, sometimes I find fun ways to incorporate that flavor into foods that you wouldn’t normally find it in, such as the Chocolate Lovers BBQ Sauce I tried the other day! Not only does it have incredible flavor, but also just a hint of chocolate goodness that really makes it special. It works amazing as a marinade for chicken, a dip, or even as a sauce to put on your burgers. You’ve got to give this unique and tasty recipe a try! 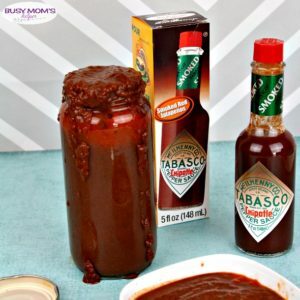 The secret to making this chocolate BBQ sauce work so well is the TABASCO® Chipotle Pepper Sauce, which really enhances the flavors with overpowering them. Being a family who has varying tastes, TABASCO® Sauce is one of the best ingredients to stock up in your kitchen (and when you run low, just restock on your next trip to Walmart!) because it’s perfect as not just an ingredient, but also as a condiment that lets each person personalize our food how we like best. Since it’s found anywhere in the world (it’s TABASCO® Brand’s 150th anniversary, so they’ve been around quite a while), you can use it to add or enhance flavor to practically any type of cuisine! So whether you’re whipping up this tasty BBQ sauce or preparing another dish, TABASCO® Brand’s variety of flavors has a bit of something for everyone. Don’t forget to take advantage of the Ibotta offer to save $1 off of 5 oz. or larger TABASCO® Brand Sauce in any flavor now through 12/31/18! The reason I chose TABASCO® Chipotle Pepper Sauce as the perfect flavor for our chocolate BBQ sauce is that the flavor of smoke-dried jalapeno peppers brings a rich balance of smoke and heat to the sauce. It really pairs well with any type of protein dish, but I think it’s particular excellent for chicken. You can use this sauce flavor for plenty of marinade recipes, or as a condiment over prepared meats. Another great trick – combine it with pineapple for a sweet-savory dish! This dish is super easy to make, just mixing some ingredients over the stove, letting them simmer to really bring out the flavor, then adding the melted chocolate. Love it! In a saucepan, mix all of the ingredients except the chocolate chips over medium-low heat. Once it begins to boil, reduce heat and simmer 25 minutes. When almost done, melt the chocolate chips carefully, then stir into the sauce mixture until smooth. Enjoy as a marinade, dipping sauce or even a sauce for your burgers! What could be really fun is to try it with other TABASCO® Brand Sauces, such as their original TABASCO® Brand Pepper Sauce (hubby’s personal favorite), or the milder TABASCO® Green Jalapeño Sauce. Then we could see how the flavors in this chocolate BBQ sauce are changed – maybe making your next favorite dip to serve on game day! Which TABASCO® Brand Sauce is your favorite? This post sponsored by our friends at CanvasDiscount.com – all opinions are mine alone. Who else loves having family photos decorating their home? They help make it more YOURS, and can be happy reminders of those you care about. We moved into our new home over 7 months ago now, but life was busy so I kept putting off hanging things up. This past weekend it was a blast adding memories to our walls with Canvas Wraps – and they’re the perfect gift for any occasion! After we had family photos taken at the end of last year, I was so eager to get them printed to hang on my walls. It makes me so happy seeing all the kiddos, how much they’ve grown over the years, in our home! One of my hold-ups was that we were moving soon after, so I knew I wouldn’t be able to hang them for a bit. Honestly, though, my biggest holdup was price – because with this big of a family (and wanting so many fabulous canvas wraps), it can add up! Luckily I was introduced to CanvasDiscount.com where I was able to get all the prints I wanted for up to 90% off – meaning huge savings on this incredible holiday gift for my family! See, it’s SUPER tall and just – well, blank! Luckily, I received my beautiful canvas wraps and – once I decided on how I wanted them laid out – got them all up to really help our home look more cozy, welcoming, and much less bare! I absolutely LOVE IT!!! Although I’m still a bit in shock with how old all my kiddos look – weren’t they just babies yesterday??? You may be wondering why I’m such a huge fan of canvas wraps versus regularly printed photographs in frames. First of all, I don’t like the glare on glass in photo frames. Second, these wraps are super sturdy, with frames behind that help them hang securely. Not only that – but check out the amazing quality of the photos! You also avoid those silly smudges that tend to get on photographs (especially if you have kids!). I’m looking forward to hanging the rest of my awesome photos soon – I got a few of just hubby and I for our reading nook in our room, some from family vacations and with extended family for our big family room (though right now the tree is blocking the wall, so that may have to wait until after the holidays) and even sent several to family for Christmas. When you get older, it’s the memories, family and friends that really matter so one of the best gifts you can give is canvas wraps of their loves ones and special memories shared! Whether you want fabulous canvas prints for your own home, or as a great gift that’s perfect for practically anyone your list, you’ve got to check out CanvasDiscount.com – they’re my go-to place for amazing prices and quality prints to decorating my wall with memories! You can save up to 90% on your Christmas photo canvas HERE! I can’t remember the first time I had a BLT sandwich, I just always remember loving them. The crunch of the bacon, the juicy tomatoes, crisp lettuce – and it’s always made better with some turkey slices. I’ve since learned to up my sandwich-making game by trying new sauces, and finding a way to make the Perfect Grilled BLT. Not only is this toasted just right, it also has a delicious basil mayo sauce that really completes this classic lunch recipe! First, let me tell you our secret to getting a perfectly toasted sandwich Every. Single. Time. The trick – adding some NEW Land O Lakes® Soft Squeeze™ Spread onto the outsides before placing on the heated grill! 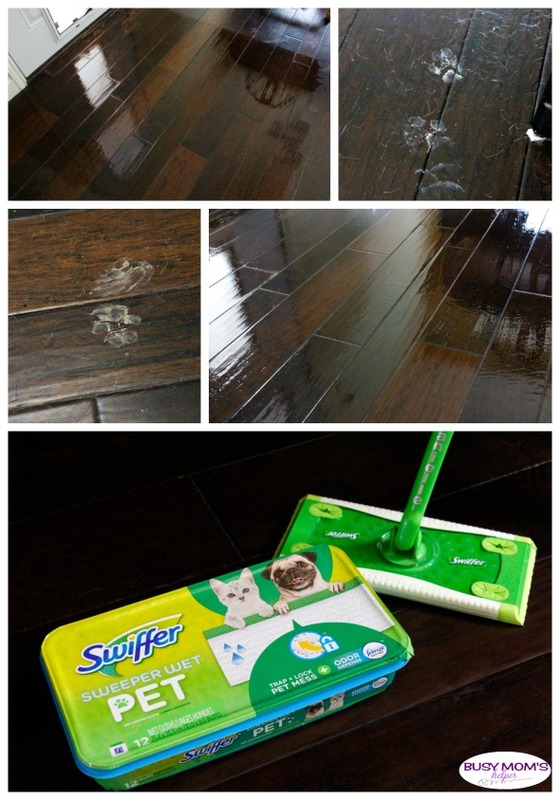 This is super easy to spread on, in a convenient, easy to squeeze bottle which means less mess to deal with. I wasn’t sure this would really make much of a difference at first, but after using it OH MY GOSH – I love it, and now keep some constantly handy in my fridge – kind of like having squeezable convenience right at my fingertips in the fridge! Stock up on this fabulous NEW product, made with real butter, during your next trip to your local Kroger store. Because we could all use a little something extra special, you can even Save $0.75 off ONE (1) Land O’Lakes Soft Squeeze® Spread with their current promotion – score! It’s awesome to be able to save money – and also to enjoy a super delicious and easy to make BLT sandwich! Now that we don’t have to deal with crumbs or mess while making out meal, thanks to NEW Land O Lakes® Soft Squeeze™ Spread, we can really focus on just making it and enjoying EATING it. First, use a bit of NEW Land O Lakes® Soft Squeeze™ Spread to grease a skillet for your bacon. Grill it crispy, then set aside. Whip the mayo, basil and garlic powder until creamy. Gather the ingredients, then build your sandwich – spread some of the basil mayo onto the inside of each bread slice, then add your desired amount of turkey, lettuce, tomatoes and bacon. Spread some easy-to-squeeze NEW Land O Lakes® Soft Squeeze™ Spread onto the outside slices of bread, then grill your sandwich over medium-low heat until perfectly toasted. What creative ways would YOU use NEW Land O Lakes® Soft Squeeze™ Spread in your cooking or baking?